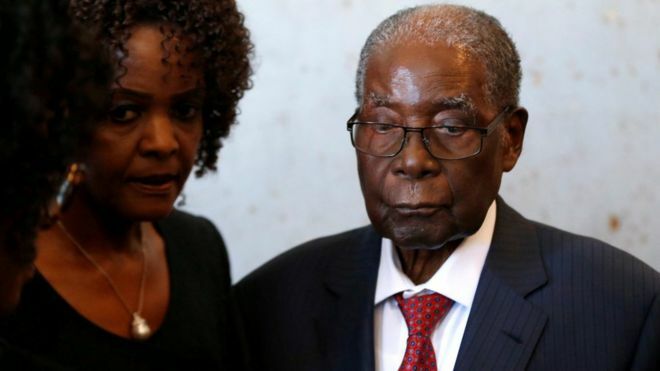 a suitcase containing $150,000 (£117,600) of cash from the country's ousted president, Robert Mugabe. The other suspects were employed as cleaners at the time of the theft, which allegedly happened some time between 1 December and early January. US dollars are highly prized in Zimbabwe. In theory, the local "bond notes" that banks dispense are equal to the US currency - but in reality they buy much less. The three suspects have been released on bail. The AFP news agency reports that a fourth is still at large.